Jesus’ small group was a mess. It was often dysfunctional. Except for its leader, this leadership training group seemed to lack any observable spiritual leadership potential. The next time you feel like there are tensions and problems in your group, look again at Jesus’ group! We often talk about what kinds of characteristics to look for in potential leaders: a heart for God, a servant’s heart, and humility, for instance, but from all discernible measures, the guys Jesus selected did not have these qualities. And the worst culprits seem to be the men selected for Jesus’ core team: Peter, John, and James. Of course, “the Lord does not look at the things man looks at” (1 Samuel 16:7). Even when we as men try to look at the things of the heart rather than just outward appearances, however, we can miss what God sees … which is why we must pray, and ask the Lord of the harvest to send us potential leaders. 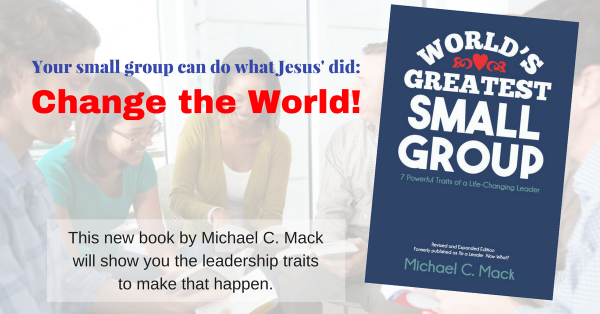 Yes, Jesus’ group was a mess and often dysfunctional, but Jesus’ group was healthy. That might seem like an oxymoron, but I don’t believe it is. Jesus understood the principle of process. He did not see only what they were, he saw what they were becoming. And often this process of becoming looks very messy. If your group is a mess—if your group includes a bunch of dysfunctional, sinful, pride-laden, argumentative men and women—don’t give up! Ask God to help you see the process of what your group members are becoming. At the proper time–God’s time–you will reap a harvest if you do not give up! Previous article 5 Minute Daily Devotions for Leaders … C’mon Man!